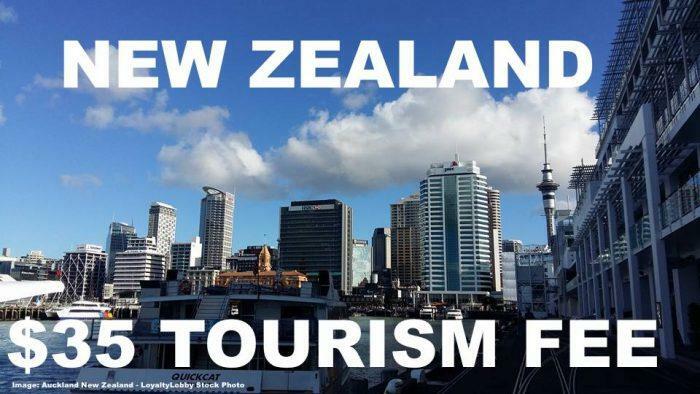 New Zealand might very soon impose a $35 Tourism Levy on foreigners arriving in the country as per a current government proposal that is under consideration. Also in the planning stage is an Electronic Travel Authority process (ETA) similar to the systems in place for visitors of Australia, Canada and the United States. It’s the norm for facility charges being levied on arrivals such as customs/immigration, airport improvement and security fees. Blanket arrival/departure fees are actually quite rare and could be seen by many as unreasonable. You can find the current proposal on the New Zealand government website here. The government is proposing an International Visitor Conservation and Tourism Levy to ensure our international visitors contribute to the infrastructure they use and help protect the natural places they enjoy. -Most international visitors entering New Zealand for 12 months or less will be charged a levy of $25 to $35. -There will be some exemptions, most notably Australian citizens and permanent residents and people from most Pacific Islands Forum countries. -The levy will be collected through visa fees and via the proposed Electronic Travel Authority process, also under consultation, for citizens of visa waiver countries. -The levy will collect around $57-80 million annually, which will be split between tourism infrastructure and conservation activity. As the proposed levy will need to go through a legislative process, it will likely be implemented in the second half of 2019. Consultation on the proposal is open until 15 July 2018. The consultation period is aligned with those of the Immigration Fees and Levies Review and the Electronic Travel Authority, acknowledging the cumulative impact these proposed changes would have on some travellers to New Zealand. The Electronic Travel Authorization is often sold as am immigration related security feature but in reality it’s just a money grab even if it’s usually a small amount. A $25-35 fee to “contribute to the infrastructure they use and help protect the natural places tourists enjoy” is the wrong approach in my opinion. Foreign visitors already inject plenty of money into the local economy by paying for accommodation, tourist attractions and shopping. Is it really necessary to milk them for another couple bucks? In the end someone who flies to New Zealand (pretty much at the end of the world) is likely not gonna be deterred by such a small fee but the signal is probably more toxic than the actual financial impact. Whenever someone has to fork out money before even setting foot into the country that always starts the trip off on a wrong note. Next articleDoes Star Alliance Really Need Two Additional Elite Tiers?